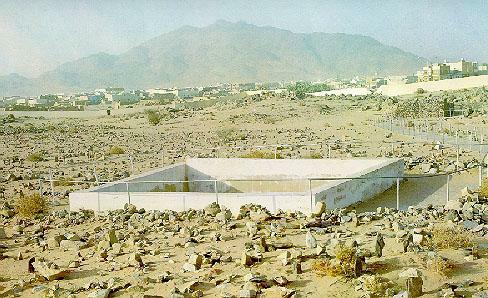 Jang-e-Badar The first battle between the believers of truth (Islam) and the forces of evil was fought on the battle field of Badar, 60 miles from Madinah towards Makkah. On one side stood a small group of 313 men of whom merely 60 of them wore armour, while facing them was arranged an army of one thousand warriors well armed and equipped. Jang-e-Ahzaab Abu Sufyan had succeeded in forming a military alliance composed of the Jews and various tribes of the Arabs. 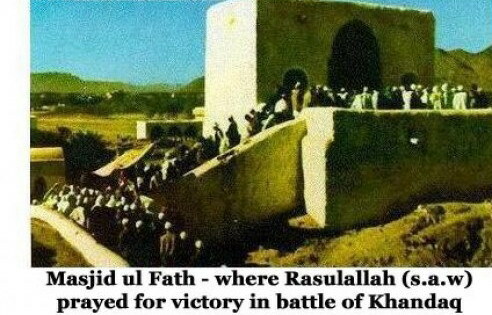 The news of this great army was brought to the Holy Prophet (peace be upon him). He called a meeting of His Companions. This was the first major battle against Muslims and kaffirs ( who wish to kill Muslims because of there false believe and non acceptance ) so Muslims were in very high moral because of there believe in less quantity . they were fighting with 3 or 4 times larger in numbers among fighters from kaffirs there were brother and fathers of The emigration of the Holy Prophet (S.A.W) to Medina had turned the enemies from Mecca more hostile, and they constantly kept on thinking how they could overthrow him, and put an end to Islam. The Meccans and their allies started to bring their raids to the very outskirts of Medina, destroying the fruit trees of the Muslims and carrying away their flocks. 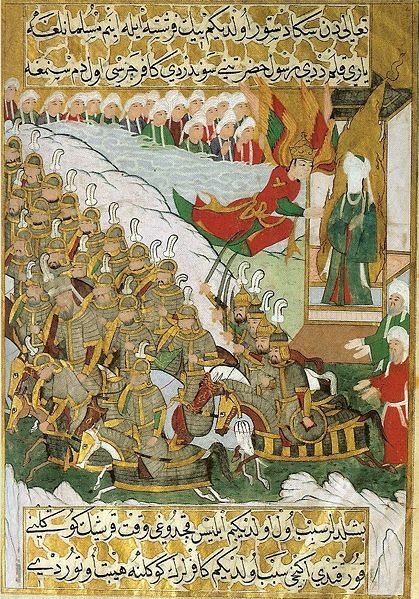 The winter of 624 AD saw the invasion of Medina by a strong force of Meccans led by Abu Jahl consisting of all army of 1000 strong with 700 camels and 100 horses. Receiving information about this force, the Holy Prophet (S.A.W) decided to meet the enemy outside Medina at a place called as Badr (200 Miles from Mecca and 80 Miles from Medina). He set out with three hundred and thirteen (313) of his followers. 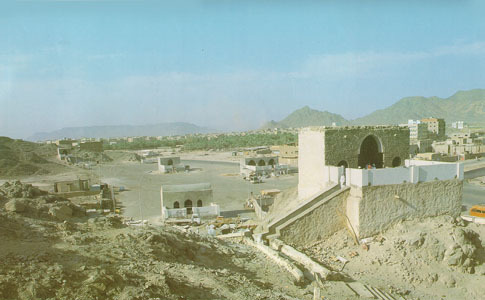 This small force was marshaled out of Medina with the youthful Ali holding the Banner of the Prophet (S.A.W). Scene from Siyer-i Nebi (The Life of the Prophet) depicting Muhammad at Badr. 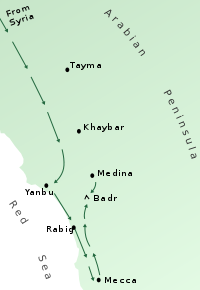 The battle of Badr was the most important among the Islamic battles of Destiny. For the first time the followers of the new faith were put into a serious test. Had victory been the lot of the pagan army while the Islamic Forces were still at the beginning of their developments, the faith of Islam could have come to an end. "God this is Quraish. It has come with all its arrogance and boastfulness, trying to discredit Thy Apostle. God, I ask Thee to humiliate them tomorrow. God, if this Muslim band will perish today, Thou shall not be worshipped." Warfare in those days followed a different pattern. Before the general battle began, a number of duels were fought between the leading warriors on each side. 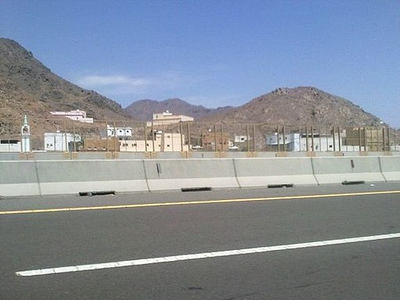 When the Muslims reached the fertile vale of Badr, a favorite watering place and camping ground on the caravan route, three stations northwards from Mecca, the Prophet (S.A.W) ordered a halt, taking up a suitable position near a stream of fresh water, to await the arrival of the infidel army. It was on the next day, Friday, 17th Ramazan 2 AH or January 13th 624 AD that the enemy, blowing their trumpets, approached the Muslims, and both forces were arrayed in battle. Three of the infidel warriors, Utbah, the father-in-law of Abu Sufyan, his brother Shaybah, and Al-Walid son of Utbah came out of the ranks and arrogantly challenged the Muslims. Three Ansars of Medina stepped forward to meet this challenge. This greatly enraged the Meccans who refused to combat with the Ansars saying, "We have not come all this way to cross arms with the Medinites, against whom we bear no grudge. We challenge the people of Mecca who have the courage to defy us." Upon this Ali and Ubaydah, cousins of the Prophet, and Hamzah his uncle, responded to the challenge. In the words of Col. Bodley, "At the taunt of the Quriashite, Ali dashed out of the Muslim ranks glittering in breast-plate and helmet. He was soon followed by Ubaydah bin al-Harith, a paternal cousin of Muhammad and Hamzah who wore an ostrich feather in his Cuirass. The three companions were thus closely related to Muhammad and fulfilled the Quraish for Hashimite (the clan of the Prophet) blood!" The three duels were as rapid as they were murderous. Hamzah killed Shaybah, While Ali killed Al-Walid. Ubaydah was mortally wounded, but before he fell, Ali and Hamzah were able to come to his rescue. Hamzah hurled himself at Utbah, and with a sweep of his sword cut off his head. In a few minutes three of Mecca's most important warriors had been sent to find out the truth about the hell which Muhammad (S.A.W) had promised them!" 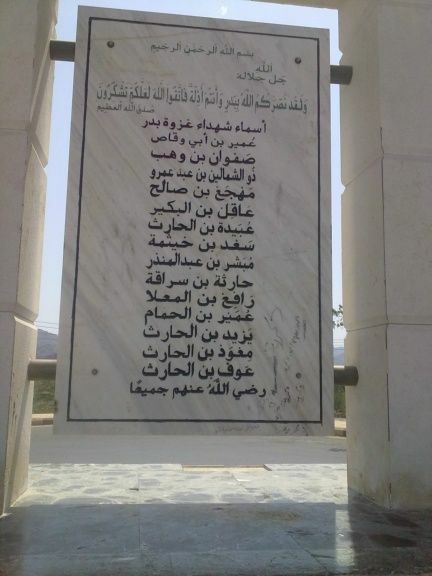 Ubaydah was the first martyr at this battle. He died after he lost his leg. With a cry of rage three more Meccans darted from under Abu Jahl's banner and assailed the Muslim champions (Ali and Hamzah). They too went down before the sword of Islam. A further three were dealt with the same fate. There was a moment of hesitancy among the Quraishites. Muhammad (S.A.W) did not miss his advantage. With a sharp order he sent his soldiers charging into a general attack. When the general offensive began, hundreds of companions participated in the battle and offered sacrifices and pleased their Lord. 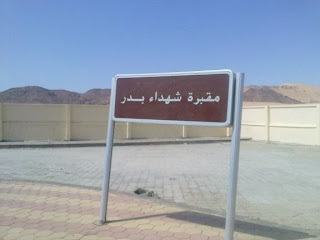 But the members of the house of the Messenger (S.A.W.) distinguished themselves. Ali's endeavor was unique at this battle. When Hanthala Ibn Abu Sufyan faced him, Ali liquefied his eyes with one blow from his sword. He annihilated Al Auss Ibn Saeed, and met Tuaima Ibn Oday and transfixed him with his spear, saying "You shall not dispute with us in God after today." The Messsnger (S.A.W.) took a handful of gravel when the battle was extremely heated. He threw it at the faces of the pagans saying "May your faces be disfigured. God, terrify their hearts and invalidated their feet." The pagans ran away, turning their faces to no one.